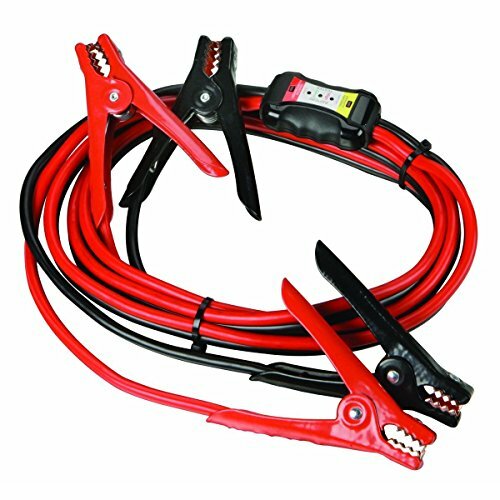 These 12 ft. 8 gauge jumper cables with inline battery tester can help start up a dead battery but can also tell you when it's time to replace your vehicle's battery. The heavy-duty full-grip jaws for good connection and covered in color-coded vinyl handles. The battery/alternator tester features an LED indicator. The combined jumper cables/tester stores conveniently in the included PVC case.